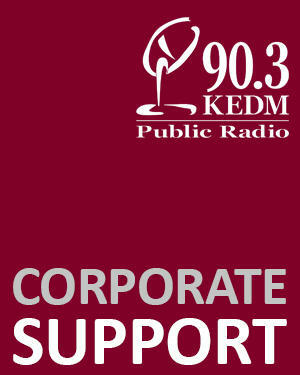 The Corporate Support Representative is an experienced, energetic, and organized individual who solicits corporate support and manages marketing and related operations of public radio station KEDM and student radio station KXUL. The Corporate Support Representative works cooperatively with the station management team, staff members, volunteers, and the general public. The Corporate Support Representative is responsible for successfully meeting the stations' underwriting and event sponsorship goals. Work closely with the Director of University Broadcasting to develop the underwriting and event sponsorship strategic plan, to set fundraising goals, and to analyze corporate support programs. Prepare, implement, monitor, and evaluate plans of action for corporate support fundraising, including budgets and reports that support their implementation, while ensuring that all fundraising is consistent with the overall mission and philosophy of KEDM and KXUL. Solicit program sponsorships (Underwriting) and digital sponsorships, including identifying, cultivating, soliciting, and maintaining business and corporate program sponsors and grantors; building case statements; crafting sponsorship scripts in accordance with F.C.C. Rules; entering and tracking sponsorship orders in a computerized traffic system; and collecting, depositing and maintaining accounting records for sponsorship proceeds. Recruiting sponsors for special events, promotion and outreach activities, including developing and executing fundraising events in collaboration with appropriate staff and volunteers. Grant solicitation, including limited foundation and government grant writing. Marketing management, including favorably representing KEDM and the University at events and functions within the listening area; and serving as station liaison for community relations with local arts groups, business groups, and other community organizations. Document all corporate support activities and provide monthly comprehensive activity reports to the Director of University Broadcasting and maintain the program sponsorship reports for the F.C.C. public file. Work in a broadcast studio/office environment and on remote locations. Recruit, supervise, provide training for, and mentor volunteers and student staff and interns. Perform other duties as assigned by the Director of University Broadcasting. Four-year college degree in marketing, media or related field, plus three years sales or marketing experience; or comparable sales or marketing experience; or comparable sales or marketing experience. Proven success in fund raising (including face-to-face solicitation). Excellent verbal (including interpersonal, public speaking, and the ability to work on-air as a fundraiser) and written persuasive communication skills to address a broad range of donors and prospects. Demonstrated success in analysis, planning, implementation, control, and evaluation for fundraising and ability to identify, initiate, develop, and maintain relationships with others, including sponsors and prospects. Ability to prioritize and handle several projects at once, and a work history that has exhibited personal initiative and the ability to work independently. Demonstrated proficiency with basic computer software, spreadsheets, and databases. Sound organizational and recordkeeping skills, with great attention to detail. Ability to meet objectives under deadline pressure. Willingness to travel and meet with significant numbers of sponsors and prospects; must have valid driver's license and reliable personal transportation. Ability to work in a collaborative group environment, and to take direction well. Demonstrated knowledge of non-profit sales and customer service strategies. Familiarity with desktop publishing software applications. Familiarity with web and social media applications to enhance development activities. Experience training others in the above skills. Depends on Qualifications. Appointment is subject to the availability of funds. Employees are eligible for a full benefits package (health, dental, vision, life, retirement, leave, etc.) ULM offers a wide range of employee benefits. Read here for more information regarding benefits.